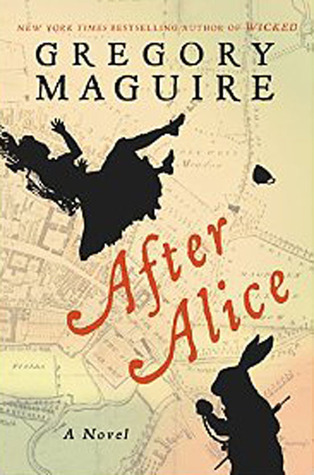 After Alice takes place in an alternate universe where Alice was followed down the rabbit hole. Ada had hoped to find her only friend to play with. What Ada sees instead as she spots Alice, is her falling through this strange hole. Curious, and maybe even worried for Alice, little Ada jumps in to save her. What Ada soon discovers is a strange place called Wonderland where she meets talking flowers, a Mad Hatter, and the Red Queen as she seeks to find and save Alice. What ensues is a journey unlike Alice’s from the original text. Ada’s journey, although a bit fanciful, is slightly dull. She mostly just questions everyone. Although not spineless, she doesn’t necessarily have a courageousness to her. While she is inquisitive, she tends to accept things and follow the leader. I wasn’t impressed with this narrative. But, to be fair, it was more exciting than the second narrative of that of her sister trying to find her with a new visitor by her side. My, how bland! I passed certain parts as they were uninteresting. It was mostly just Ada’s sister bashing her for disappearing again. There wasn’t much to this narrative. There was a present day twist that was interesting, but it was towards the end. If you gave up on this book, the same way as I almost did a few times, you haven’t missed much. If you haven’t read this book yet, but want to, might I suggest the adult fantasy series by Christina Henry instead. Ada is not exactly featured, but the concept is certainly different and unique. I will be writing a review within the next couple of weeks. Maguire fails to hit the proverbial mark. Although at times entertaining, or more so surprising, it didn’t capture this big fan of the original text. I had hoped for so much more from this book. Maybe because I had created hype for myself, but honestly it’s not worth a read. There are too many spots where one might want to give up. The first forty or so pages were hard to get through! If you make it past that, you are possibly in the clear to continue. But, it will drag. The twist at the end is the only redeeming part; and why I decided to give it two stars. Look at me don’t look at me look at me look at me don’t look at me don’t look. Ruth is a young American in London, trying desperately to navigate a world she feels uncomfortable in, while battling with herself. Time and again she questions her existence and the existence of others while trying to find the pursuit of contentment. She discovers herself often in precarious situations that she must find a way out of. 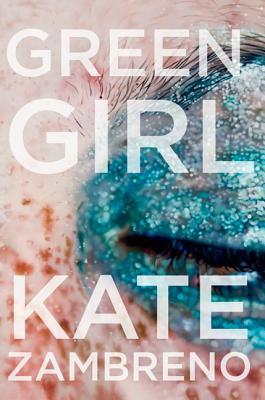 Full of epiphanies and life lessons, Green Girl introduces us to the new The Bell Jar and Esther Greenwood. It is hard to put into words how much I loved this book. From the first page when the other is naming Ruth, to the epigraphs before each chapter that I bookmarked almost each time. Was it all the inner battles Ruth had? There are too many reasons why. I was hooked from the beginning. Ruth was by far the most interesting character I had met this year in my year of reading. She was troubled, confused, promiscuous, fierce, and strong without realizing it. There wasn’t much that happened, but the prose! The prose was beautifully written. It was insightful, intelligent, and left me wanting more. This debut was moving. Zambreno has a brilliant career ahead of her. I was really impressed. It did remind me a lot of The Bell Jar which is one of my all time favorite novels. So, I may be a little biased. There was something just so raw and fresh about this novel. Something I haven’t seen in a while. This is definitely a novel to be checked out. I highly recommend it. 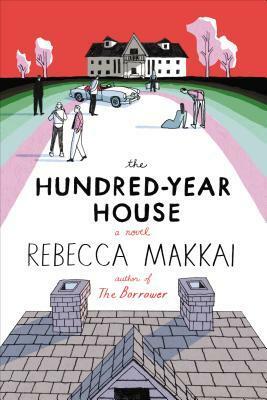 Makkai tells an original family saga in reverse in The Hundred Year House. From family suicide to mysterious deaths, and an old artist colony filled with secrets, The Hundred Year House doesn’t disappoint with the amount of secrets. In this family comes first drama, you learn what it means to be a Devohr. There was plenty to take in, in this novel. There were the general plot lines of the characters: Doug and his struggle to write his book while hiding the fact that he’s become a ghost writer for a popular teen series that is a little embarrassing; there’s his wife, Zee who is doing her best to secure a spot for “jobless” Doug, by implicating a fellow professor for stuff he isn’t doing. Then there is the couple living with them that are slightly minor. Plus, there’s Gracie, the mom, who is blocking Doug from finding out about certain things that happened in the artist colony. This novel was intriguing, while a little lackluster for me. I found myself reading it days in between. It didn’t hold my attention as well as I had hoped it would. Although, it did get better in the end. The beginning was slow. Would this be a book I would recommend, no I don’t think so. It took too long for me to feel invested. The characters weren’t my favorite. The plot was a little interesting, though. I liked the ghost haunting the house, but that was not a sub plot that was fully developed, unfortunately. What do you do when you find you boyfriend with another woman? You answer your phone and fly to England to visit a dying relative you barely know. There, your life really begins. And, there, you meet the ghost of Emily Bronte and the secrets of your family begin to reveal itself. Eleanor Sutton Abbott’s life is about to change. When she finds her fiance with another woman, she doesn’t know what to do. Then she receives a sudden phone call from her estranged Aunt’s partner to come visit her in England because she was very sick. Devastated by her fiance, she decides to fly to England without a real plan. There, her life changes. She meets Meadowscarp MacLeod, a Scot who her aunt raised from birth. He quickly ignites something inside her; as well as the mysterious woman she keeps seeing– the ghost of Emily Bronte. 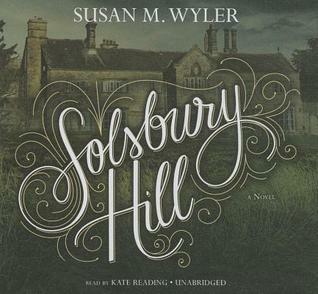 Wuthering Heights lies in the background of this modern Gothic novel, as Eleanor searches for Emily’s hidden letters to ease her pain over choosing her brother over the love of her life Robert. Soon Eleanor discovers her own family secrets, one involving Emily herself. Listening to this book on audio was great. The voices the narrator did were fantastic. I loved hearing her change from narrator to characters. The novel itself was alluring and drew me in immediately. Although I was a little misled; I thought it was going to be a retelling of Wuthering Heights. However, I loved the novel regardless. The mysterious connection between her and Emily Bronte was great. It was fascinating, drew me in, and was creative. I secretly wished it was true. It brought out a new side to Emily Bronte. Meadowscarp (Mead) was my favorite character. I liked how he was looking for his Catherine. I liked everything about him, really. Eleanor was also a very strong character. I loved all the characters, minus the cheating Miles who I always yelled out. This book got me involved. I would be vocal at most parts. Especially when Miles would appear. I would highly recommend this novel. Especially if you have any love towards or fascination with Emily Bronte. Although I prefer Charlotte, I enjoyed ghost Emily’s arc. The revelations, too. Oh my! This is one of my must read summer books. A great choice. It didn’t take me long to get into and finish the book. Only two or three days. I hope you pick it up! Younger sister Olivia “Livya” Moon set upon a journey to see the Cranberry Glades and the will ‘o wisps their now deceased mother often talked about and based a story upon. 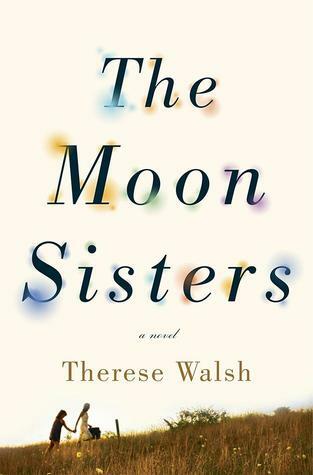 Reluctantly, her older sister Jazz comes along with two train hoppers that make for a less than delightful, but slightly moving story about family bonding and getting to where you’re meant to be. Olivia Moon is a free spirited eighteen year old with Synesthesia who was the last one to be with their mother before her probable suicide. Jazz Moon is less free spirited, more fickle and abrasive than her sister. Constantly looking out for her, she has never been the loving or touchy feely type. So, when Olivia decides to take a trip to see the Glades where their mother’s only novel, left unfinished, was set, Jazz is more than reluctant. Outspoken throughout the whole trip, meet a train hopper nicknamed Hobbs and Red Grass, someone much more sketchy with a secret of his own. Both the sisters are holding on to something; while Hobbs is hiding all on is own. Trusting no one was a trend in the journey. I had high hopes for this novel. The cover, for one, is beautiful. The title is pretty and alluring. I just couldn’t get into it. I finished it, albeit reluctantly. I dragged my feet the whole way, like Jazz. I didn’t connect to any of the characters. Jazz complained too much for a character that was cold, distant, and rightfully so was called a b*tch by Hobbs. Olivia was too free spirited for me. I’m all for flower children. But, there comes a point when you have to act like an adult. There were moments, but so fleeting. Walsh over did it for me with Olivia’s character. She was too much to handle. Hobbs was the only character I truly liked. The plot was slow moving for me. I was confused a little by the end, but if I say why it’d be a total spoiler. I just thought there would be more magical realism like in Alice Hoffman and Sarah Addison Allen novels. I didn’t find much of it; of anything. There were letters to the father that disowned the mother that I personally felt were unnecessary and did not move the plot along at all. I think it was used as a way to understand the mother while having her dead, but I found myself skimming them rather than devouring them. I wish I could say something extremely positive about this book. I did finish it, which I almost gave up on. But I don’t feel the same contentment I usually do after reading a novel I like. I won’t say don’t read this; maybe it just wasn’t for me. Just go at it with caution, perhaps. It got outstanding reviews on goodreads. I’m disappointed I cannot give same. Tom may not be a superhero, unlike his friends, but Tom’s wife The Perfectionist sure is. She is perfect in every way, including being perfectly sad and jilted. Perf’s ex, Hypno, does just that to Perf, causing Tom to be invisible to her only. As the days turn into months and Tom “isn’t home” The Perfectionist decides to move to Vancouver. Tom has the entire flight to convince Perf he has never left and still exists. Once the flight lands, and Perfectionist starts a new, perfect life without Tom. 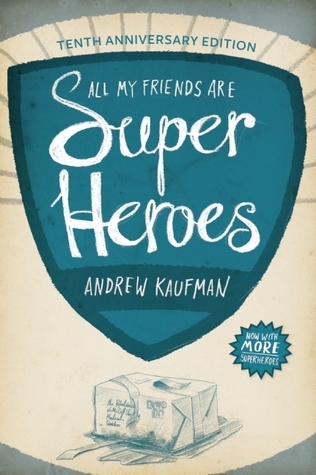 This novella from Canadian author Andrew Kaufman was hysterical. The story is just 120 pages, with an extra spent on new superheroes. I read this in one sitting laughing out loud. I absolutely loved this. I have wanted to read this book for a year now ever since I stopped at the publisher’s booth at a book fair last year. The book eventually sold out before I could get my hands on it. This year, I was able to score the last copy with the bonus material. I hyped this book up to both myself and to others I mentioned it to. I was no where near disappointed. It was fun read, having the superheroes not really portray typical superheroes we have seen and read about. Instead, their superpowers were more great personality traits. You have the Bedmaker, who yes, makes her bed every morning. The one real invisible guy may have been my favorite. For years, he painted himself blue to be seen. Blue! My next favorite may be Wild Mood Swing since he is one of the only ones that wears a costume. There are just too many good things about this quick, entertaining read. Well worth the wait. I loved the extra superheroes. I guess things may happen for a reason.